I agree Roger, both points you make are very valid. Nowadays, just keeping up with what's going on can be very time consuming and members have to pick and choose. That's certainly true in my case. Also, there are some very technical and very deep threads on this forum. That's not a criticism, just an observation, but I am unlikely to contribute personally in many cases because knowledge (or lack of it) will preclude sensible input. I'm sure that's true of many of us. But keep them coming, each new thread, however deep, adds to the whole and makes this Forum what it is. Unfortunately this will be probably be a few years down the line and I don't think I'll be around to make those the posts then. I'm not sure whether I make such a good contribution to the fourm, some people have said yes but I don't know. From what I can tell and have read, you do indeed contribute significantly to this forum. Now I haven't read all your posts...haha - the depths of HWI still remain a shroud of mystery. Hopefully, once school is out for the summer (and if I can keep up with Stephany's daily posts --- , only kidding Stephany), then will I be able to uncover some more fascinating facts and crazy events where HWI members always seem to leave their mark! But returning to the topic that I started and thereby took this thread off-topic...sheesh, I have a ways to go!....it is interesting to read everyone's input from all over the world. From untranslated magazines in Japan to simple comments made by "ordinary" fans like myself...this site produces various thoughts and opinions that would leave the site void if they were missing. 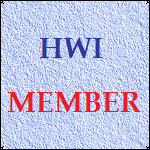 Many thanks to you Jon for your posts and for your insight, as well as, to all the other members of "HWI" for their invaluable contributions. Roger, that's not really a stat for the site, but hopefully it's not too far from topic. If you mean the amount of posts that have drifted off topic (in the ON topic threads), there is no way of knowing. If you refer to the Off Topic and Other Music Sections, it is quite easy to assess. As can be seen on the Index page, there are currently 592 threads in Other Music and 247 in Off Topic Discussion, each of which has an "opening" post. Those boards have received 5243 and 3868 replies respectively making the total number of posts 9950. That represents approximately 28 per cent of the total. Whether Technical Support and Suggestions should be considered off topic is a matter of opinion (they do not relate directly to Hayley). If so, you can add another 816 posts to the total. These figures reflect the total number of posts ever made since the forum was launched in July 2003. Determining the number for three years (or any specific period) could only be done by manually checking the dates of each post. Thanks to my trusty old solar powered calculator for its assistance in making this post! Richard, you wouldn't believe how hard it was getting planning permission for that! If that's your satellite dish, how big is the TV? Bet the reception is pretty good though! Can you now at last answer the question that's been keeping all Hayley fans in suspense for the last four years - who really did paint the moon black? ps How long do the batteries last? I found a photo of Jon showing off his TV to a few visitors from HWI! Jon, do you have a brain-washing button on that thing? If we could only keep Stephany and her until-now inexplicable talent of finding information away from that contraption, we may be able to free up enough energy to finally proclaim Hayley to the non-Earthly inhabitants. Of course, they probably already know about her. Intelligent life form? I doubt it....look at the crummy job they did on the moon...one day it's black according to Hayley, the next it's back to its normal, colorful self. Guess, there must've been some sort of mix up....I can see it now....the head contractor saying, "No, guys, I said the "other side of the moon! You know they call it 'dark' for a reason!" Oh brother, I clearly see I should shut up now and head to bed. P.S. Dave, when you get a TV like that, I will personally, voluntarily, and free of charge, come and help you set it up, move it around, and "test it out." i21.photobucket.com/albums/b294/hdjoespics/EEjdKsU.gif There's this girl from NZ I've been dying to see...perhaps you've heard of her? I don't know who the lady is, she just came into my front room and stood by the telly for some reason! 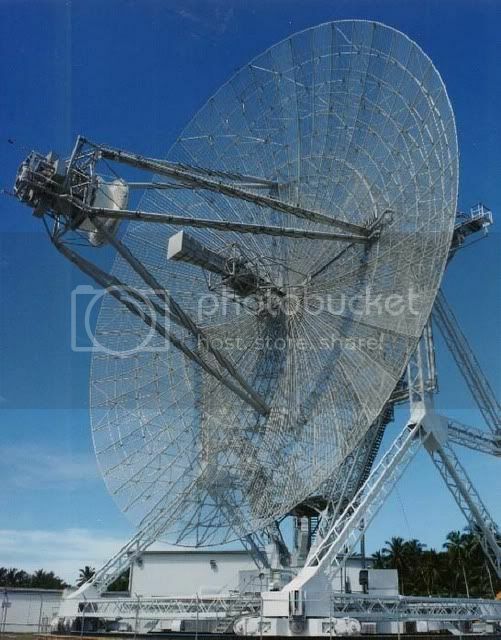 Martin - I'm pointing the dish at the moon now, I'll get the results later. BTW it runs on perpetual motion - I have a set of hamsters in a wheel! Grant - I can pick up TV signals from 50 years ago, so I watch a lot of 'I Love Lucy'! Eric - Yes, Steph has been using it to gather info from the internet on Hayley, but the device is now free to contact aliens - Steph has somehow managed to enter the internet as binary and has become even more efficient.